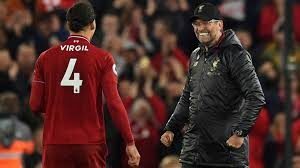 Jurgen Klopp: Liverpool manager accepts derby celebration misconduct charge – Royal Times of Nigeria. 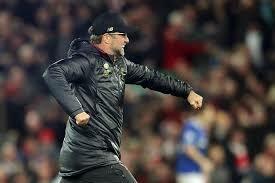 Liverpool manager Jurgen Klopp has accepted a charge of misconduct for running on to the pitch after his side’s 96th-minute winner against Everton at Anfield. Klopp ran on to hug goalkeeper Alisson after Divock Origi’s bizarre goal in Sunday’s Merseyside derby. He will receive a fine of about eight thousand pounds from the Football Association and has been warned about his future behaviour. Klopp, who had already apologised, had until Thursday to respond. Speaking after Sunday’s game, which Liverpool won one-nil, to move two points behind Premier League leaders Manchester City, the German said he had to apologise because he didn’t want to be disrespectful, but that he couldn’t stop himself from celebrating that goal. Everton counterpart Marco Silva said he had no issue with Klopp’s actions, saying he might have done the same if he was in Klopp’s shoes. Klopp will be in the dugout on Wednesday as Liverpool travel to Burnley in the Premier League.